This is because the current tab layout algorithm first of all tries to minimize distracting tab movement between rows (keeping tab in the last position, reserving a row buffer for new tabs and changes in tab width). Priority tabs are identified by tab name and work globally across all solutions. 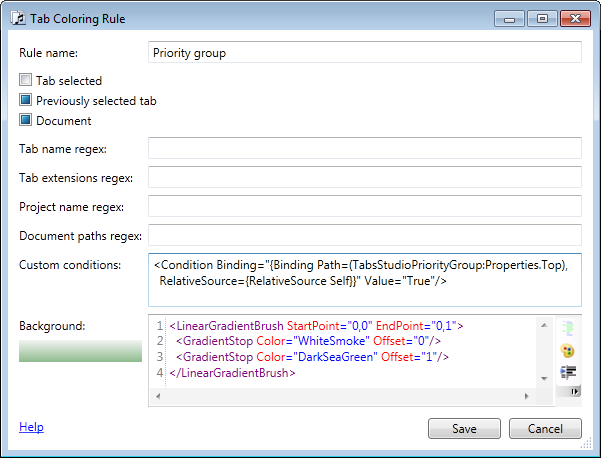 To remove a tab from the priority group, right click on the tab and select Remove from priority group. 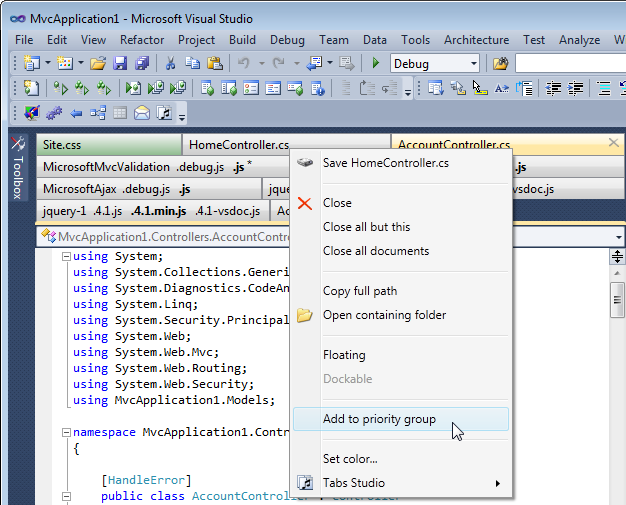 PriorityGroup will be included in the next Tabs Studio release.